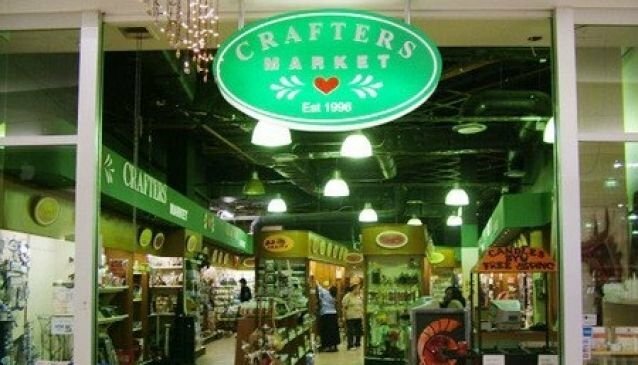 Crafters Market has been selling hand crafted items and arts and crafts produce for over 15 years. Ideal to pop in if you're looking to make your own masterpiece, or purchase others work to add a fininshing touch to your home, or as a special gift. They sell a wide selection of craft products including paints, card making equipment or mosaic kits, as well as interiors like cushions, vases and lamps and decor for the garden. And with an array of jewellery, tableware, wall art and photo frames, there's guaranteed to be something for everyone, especially as the displays are always changing. It's possible for budding artists to become members of the Crafters Market, where they can rent the space they require and display and sell their work to the public. With all their stores located in shopping malls, it means that they are central and highly visited to help enhance their artistic profiles.